Brand: Wilton 415-9410 Units: 12/pkg. Dimensions: 1¾" diameter x 1¼" wall Discover the convenience and easy release of flexible silicone bakeware! Exceptional baking performance for your favorite recipes Freezer, refrigerator, oven, microwave and dishwasher safe Resists stains and odors Oven safe to 500°F. Easy and convenient storage Limited lifetime warranty No muffin pan needed! Bake and serve in these reusable oven-safe cups in pastel colors. Discover the convenience and easy release of flexible silicone bakeware! Exceptional baking performance for your favorite recipes Freezer, refrigerator, oven, microwave and dishwasher safe Resists stains and odors Oven safe to 500°F. Easy and convenient storage Limited lifetime warranty No muffin pan needed! 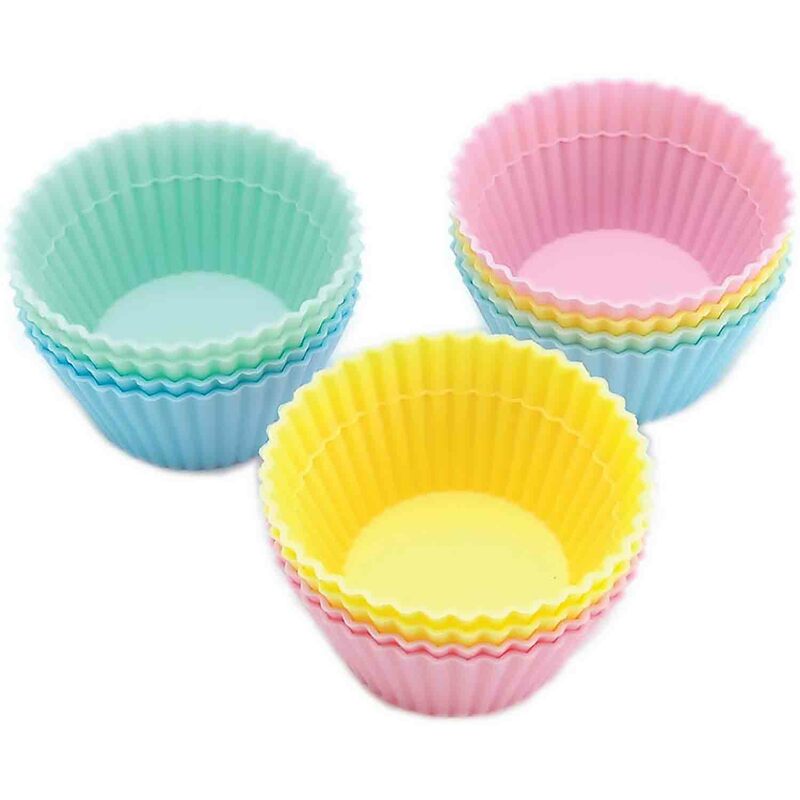 Bake and serve in these reusable oven-safe cups in pastel colors.